Born in 1951 at Ferrara and graduated in architecture in Florence. During the period of radical and experimental architecture, he was a prominent figure in movements like Cavart, Alchymia and Memphis. De Lucchi designed products for Artemide, Dada Cucine, Kartell, Matsushita, Mauser, Poltrona Frau and Olivetti, for whom he has been Director of Design since 1992. He has developed experimental projects for Compaq Computers, Philips, Siemens and Vitra. His architectural designs have been mainly for office buildings in Japan, Germany and Italy. In 1999, he has been appointed to renovate some of ENEL’s (the Italian Electricity Board’s) power plants. Many of his service interiors are in use at Deutsche Bank, Deutsche Bundesbahn, Enel, Poste Italiane, Telecom Italia, Mandarina Duck, Banca Popolare di Lodi and so on. 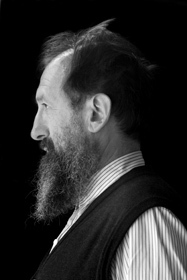 IIn 1990, he set up Produzione Privata, a small-scale concern through which Michele De Lucchi designs products that are made using artisan techniques and crafts. The honors he has received include the following prizes: Good Design (Japan), Compasso d’Oro, Premio Smau, Office Design Eimu (Italy), Deutsche Auswahl, IF Hannover, Design Plus, Roter Punkt, and Design Team of the Year 1997 (Germany). His firm, aMDL, has its offices in Milan and Rome.